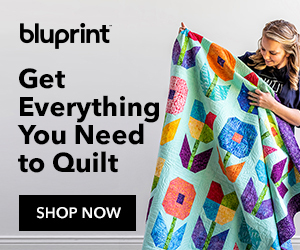 Craftsy is now Bluprint; click on the image to the right to visit the new site. Still the same great bargains and variety of items! It’s time for all the wonderful bargains Craftsy brings us for the holiday season. Now through December 12 (I got a late start) there’s a new deal every day. And it’s not just one item; you’ll find a whole category of items each day. Click here to see today’s deal, and don’t forget to visit every day until December 12! I’ve been working on a king size log cabin quilt for several months, which you can interpret as anywhere from three months to a year and three months. I’ve narrowed down the settings for the blocks, and I could use your input as I make my selection. Here they are, from the classics to the “thinking outside the box” versions. Leave me a comment with your choice and a reason why you like it, and I’ll pick one name from among you to win a prize. Yes, there is fabric involved. The deadline is Friday, September 15, at 5 pm.